Let’s get packing for your mission trips with Mercy Projects! Make sure you come prepared. 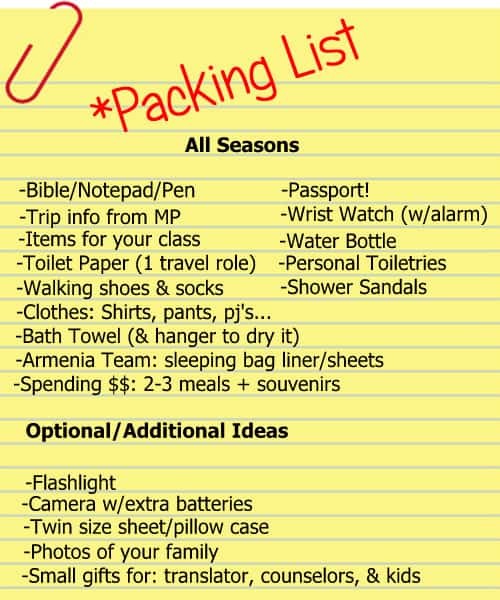 Don’t forget to check out the second notepad below for the additional items that apply to the season you will be travelling in. You can also Download Packing List PDF.